Buying gifts for kids can be a tricky task, especially when you want the gift to educate as well as entertain. We went ahead and hand-picked a variety of trending toys, books and activity sets that are sure to keep them engaged and entertained for hours. The best part—each of these gifts has educational value, so your kids will have fun while learning something new. Vibrant colors, easy-to-use buttons and a high-quality speaker make this map a superior gift. Kids from age 6 and up will love learning about countries, capitals, flags and so much more. 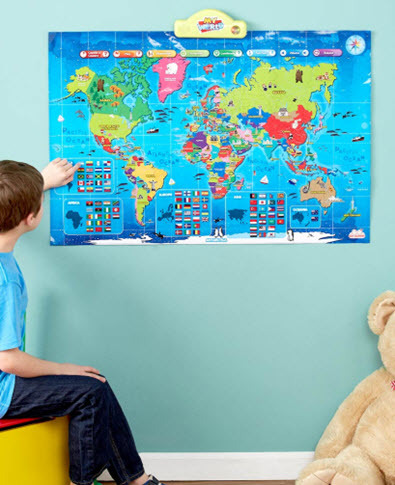 This plastic map can be used on the floor, a table or hung up on a wall for easy viewing. 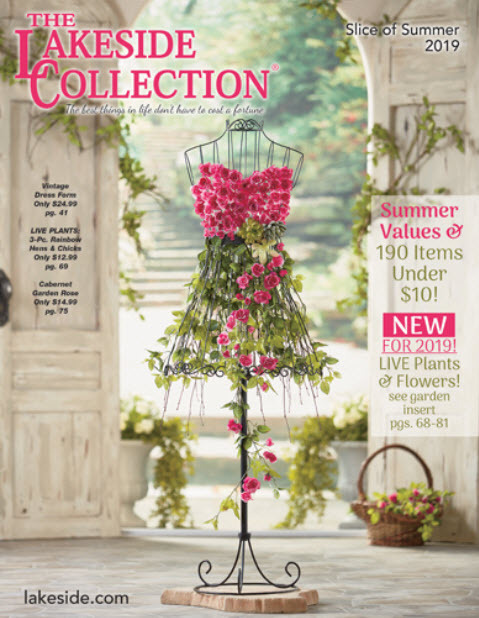 Over 1,000 interesting facts about languages, landmarks, populations and more! Quiz function tests them on their new skills. Dinosaurs are always a kid favorite, so why not let them “grow” their own? Just submerge the eggs in water. Within 72 hours, the dinosaurs will break free and grow up to 10″ high! 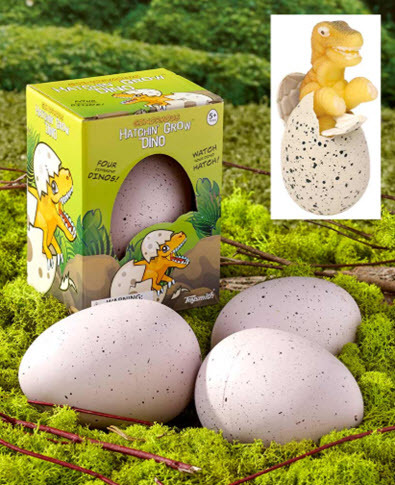 Kids will love caring for their new dino friends, and waiting for them to hatch will help teach patience. They get 2 assorted dinos—the mystery adds to the excitement! Which one will hatch? Keep their childhood interest in dinosaurs alive. Large size makes it the wait worth it. Feed their curiosity with fascinating facts that seem too wacky to be true. Strange History is filled with haunting legends, mind-blowing facts and more. 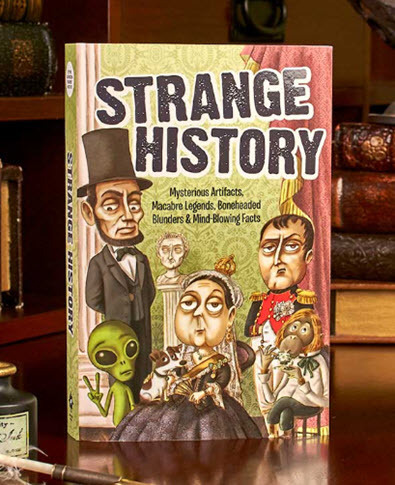 Strange Science explores crazy theories, inventions, and wacky scientists! 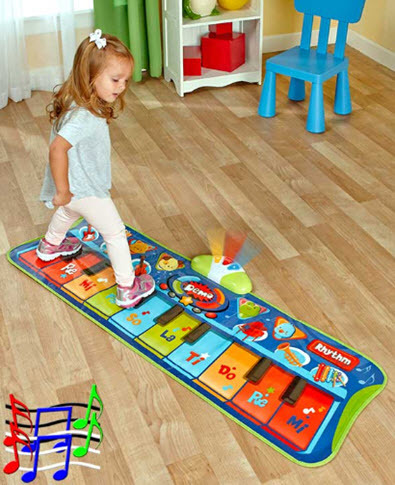 Spark their musicality at a young age with this colorful mat. The 10-key piano has flashing lights, 6 instrument sounds, 4 animal sounds and more! It even records as they make their own song and then plays it back for their enjoyment. 20 Demo songs help get the party started. Rhythm selection adds to their creations. Long mat gives them plenty of space to play. These 12 board books featuring favorite characters make learning colors, numbers, seasons and more fun! 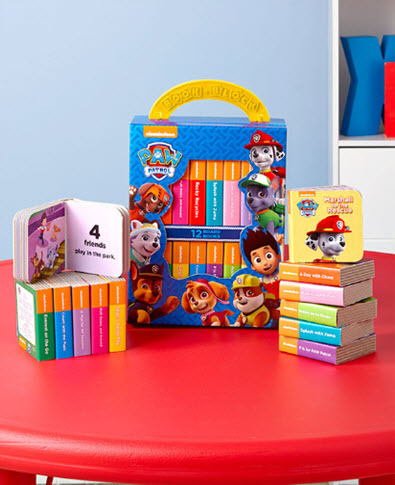 The books are the perfect size for kids’ little hands, and the carrying case lets them bring the books with wherever they go. Colorful and sturdy pages keep their interest. Carrying case keeps their first library close. Their favorite characters make learning fun. 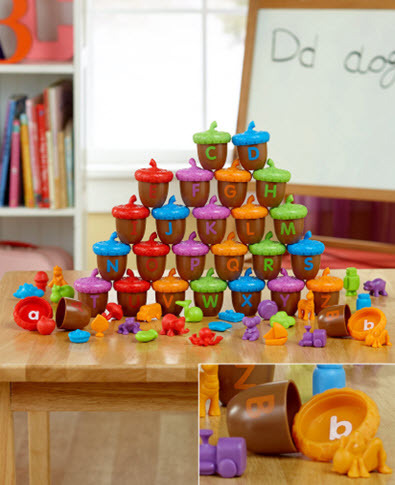 Little ones can learn the alphabet by playing a game! They’ll have so much fun they won’t even realize they’re learning in the process. The game requires them to match upper-case letters on the outside of the acorns to their lower-case equivalents on the inside of the tops. Color-coded figurines help teach common words. Little acorns are the perfect size for little hands. Teaches vowels, simple vocabulary and more. This interactive puzzle takes something kids already love and turns it into a learning experience. Whenever they put a letter in the correct space the board rewards them by saying the name of that letter and a word that starts with it. Perfect for kids who are starting to learn the alphabet. Colorful images guide them to the correct letter. Pieces are the perfect size for little hands. Battery operated—take it on the go! Give this tablet and smartphone set to your little one instead of your own! It will not only free up your devices, but kids will learn as they play. Great for keeping them distracted during long trips away from home or while out running errands. 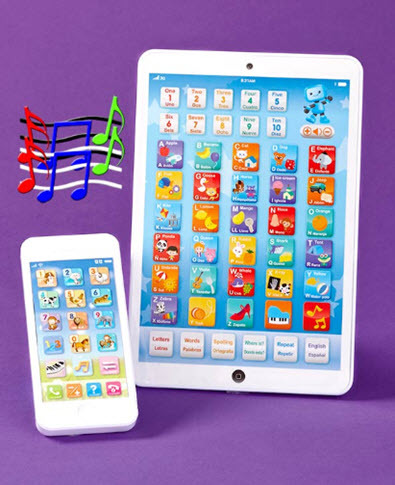 Smartphone features games to help them learn to count, learn animal sounds and even play piano. Tablet features games to help them learn the alphabet, match words and more. Both devices teach English and Spanish! Toys are an essential part of growing up—they spark interest, expand the mind and most importantly, provide enjoyment. When toys can check both boxes of being fun and educational you know you have a winning gift idea. 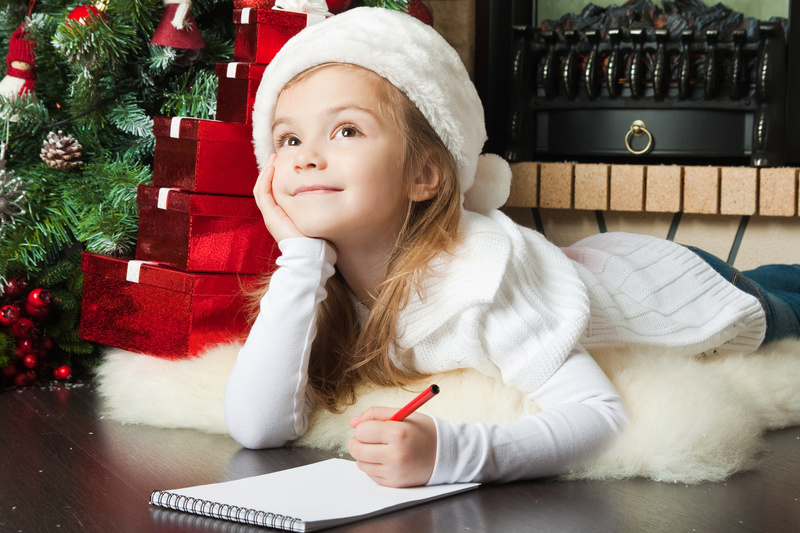 To get an idea of what toy, book or game the kid on your list would love, start by thinking about their current interests. What really gets them excited? What topic do they always seem to find themselves going back to? 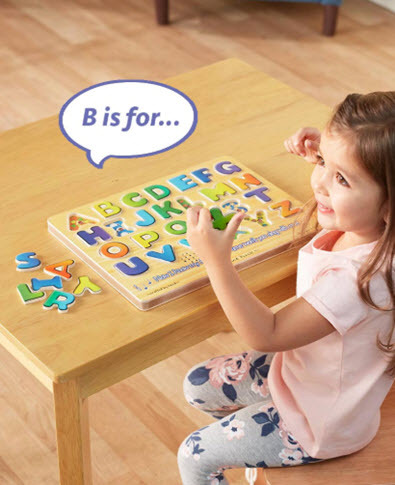 Learning the alphabet, how to spell, basic geography and scientific facts doesn’t have to be daunting. With the right gift, it can be an enjoyable experience that will show kids how fun it can be to learn!